I wanna see everything, big and small! Enjoying the Summer training camp to the fullest with Sempai! No matter where or when, her magic failure rate is 100%. Sempai’s slightly off-color magic goes right to the limit. Even the Chemistry Club’s President, Madara-san, gets dragged into it … After being set loose into the world, the Magic Club puts their bodies on the line even more than usual!! 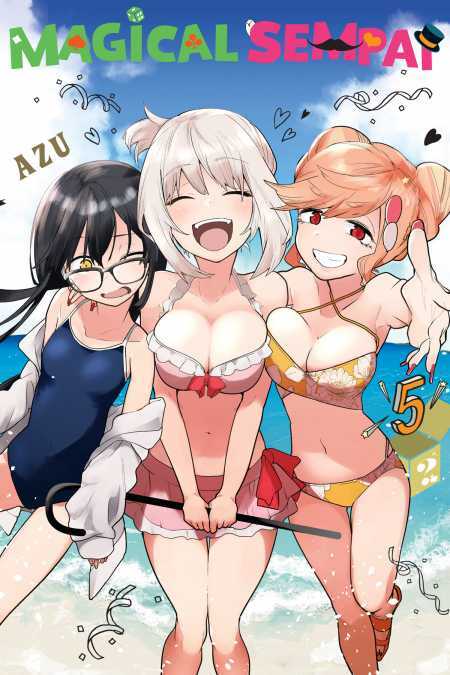 This Volume 4 is packed with special summer-themed failed magic gags! !